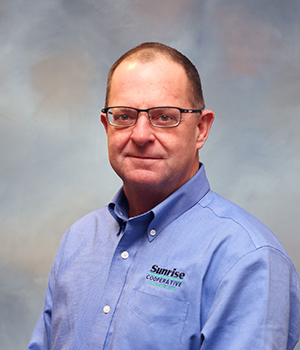 At Sunrise Cooperative, Inc. we are committed to bringing innovative choices and expert solutions to our customers. We know you have choices in the products and services you want, which is why we are tightly focused on your needs. Our team-based approach to customer service gives you access to the full range of knowledge and experience within the cooperative. At Sunrise, we strive to offer you the best choices delivered by the best team. Sunrise a leading agricultural and energy cooperative spanning from the Ohio River to Lake Erie. 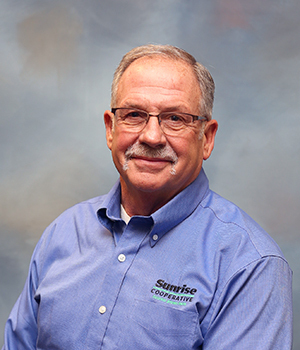 Sunrise is 100-percent farmer-owned and was formed through the merger of Trupointe Cooperative and Sunrise Cooperative on September 1, 2016. As a cooperative, we are governed by a Board of Directors elected by our members, and we return patronage to our members based on the cooperative’s financial performance each fiscal year. All corporate support is conducted from Fremont, Ohio and is under the leadership of President/CEO George D. Secor. Our investment in our people, and our facilities, allows us to provide the best solutions for our member-owners. 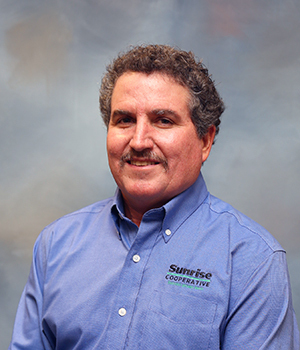 The people of Sunrise Cooperative begin each day committed to focusing their expertise on growing your success. We offer products and services to help you with your day to day operations for your farm, home or business. We are strategically aligned with key industry partners to bring you top of the line products by trained professionals. And we offer our branded PCT | Sunrise products, which encompasses precise blends of starters, foliars, finishers and biologicals to help maximize yield. Leading Sunrise Cooperative is President and Chief Executive Officer George D. Secor. George previously served as the President/CEO of the predecessor Sunrise Cooperative. With a strong vision in mind, George began to build what would become Sunrise in 1996 when he became the CEO of Country Spring Farmers Co-op. In 2007, they merged with Sunrise Cooperative and began to operate under the Sunrise name, before merging with Country Star Cooperative in 2009. A 1980 Willard High School graduate, George earned a degree in Ag Econ from The Ohio State University in 1985. He spent his summers doing internships with Ohio Farmers Grain & Supply, a regional cooperative in Ohio. Upon graduation from college, George secured a spot in the management trainee program of CountryMark, Inc., which was the merger of two regional cooperatives in Ohio, Farmers Grain & Supply and Landmark. George worked in the program for five years before being named the CEO of Ada Farmers Exchange, a position he held until 1996. George has three children, a son-in-law and two grandchildren. Overseeing the feed division at Sunrise Cooperative is Vice President of Feed Mark Roeth. Mark joins Sunrise from the predecessor Trupointe Cooperative after serving as a director and manager in the feed division since 2013. Mark has an extensive background in the feed industry. His experience includes time with Land O’Lakes Inc., Purina Feed and Countrymark Co-op Inc. He has held positions ranging from feed sales to swine specialist and consultants, as well as served as a manager of member benefits at Land O’Lakes before joining Trupointe. Joining Mark in the Roeth family is his wife, Paula, and their three children, Kyle (24), Lindsey (20) and Ty (10). Mark earned a B.S. degree in Animal Science from The Ohio State University in 1987, along with an associate’s degree in Agriculture Business from Clark Technical College in 1984. In his free time Mark enjoys spending time with family and friends, wilderness canoe camping and coaching. Leading the sales efforts across the divisions is Vice President of Sales Bill Bever. 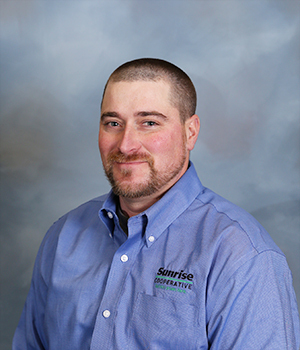 Bill joins Sunrise Cooperative in his new role following serving as the Agronomy Sales Manager at the predecessor Sunrise Cooperative. Alongside his experience as the Agronomy Sales Manager, Bill’s professional experience began on his family farm, Hill and Valley Farm from 1989-1997. Bill began at Sunrise as an Agronomy Sales Consultant in 1997 and has also held the role of Agronomy Division Manager. He also spent some time as the Grain and Agronomy Area Manager at Town and Country Co-op (2004-06). Bill earned a bachelor of science degree in Agricultural Systems Management in 1994 from The Ohio State University. Bill resides in Ashland, Ohio. Completing the Bever family is Stacey Horner and their children; Cody (21), Joey (19), Emily (17), Mascie (15), Josh (15), Jake (13) and Emmie (13). In his free time, Bill enjoys spending time with family, attending the kids sporting events, camping and working on the family farm. 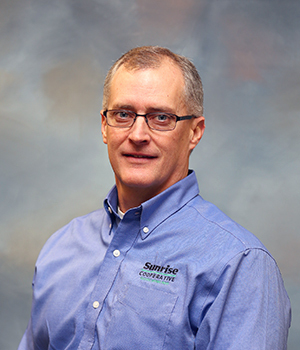 Jason Kamann serves as the Vice President of Energy at Sunrise Cooperative. He joins the team after serving in the same role at the predecessor Sunrise Cooperative. Landing a place in the energy division at Sunrise began through the feed mill and delivering propane. He went on to operating an air machine in agronomy for three years before serving as an Energy Sales Consultant and Sales Manager. Before his time at Sunrise, Jason worked for Seven Limers in their blacktop division. Jason and his wife, Mindy, live in Monroeville, Ohio. The Kamann family includes four sons, Hunter (18), Cole (14), Kiptyn (9) and Beckett (4). Jason stays busy watching his sons activities, coaching football, hunting and fishing. “A cooperative to me is all the division working together for one common goal – the customer – and making them the best they can be,” said Jason. Craig Haugaard will oversee the grain division as Vice President of Grain. He previously held the role of Assistant Vice President of Grain at the predecessor Sunrise Cooperative. Craig’s background was built off his B.S. in ag econ from South Dakota State University, a M.Ed. in human resource development from the University of Minnesota and a MBA from the University of South Dakota. He began his career at a Feed Ingredient Merchandiser at Agri Trading (1982-1992). Craig owned and operated Marketing By Design (1992-1994) before serving as an extension educator with the Minnesota Extension Service (1994-2004). 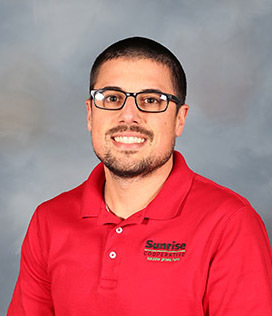 He gained experience as a Grain Origination Manager at South Dakota Wheat Growers (2004-2012) and as the Grain Divisions Manager at North Central Farmers Elevator (2012-2015) before joining Sunrise. The Haugaard family includes Craig’s wife, Lora, and their two sons, Craig and Ryun, both of whom are West Point graduates. In his free time Craig and Lora are working towards running a marathon in all 50 states, and enjoys hiking, bike riding, canoeing and reading. 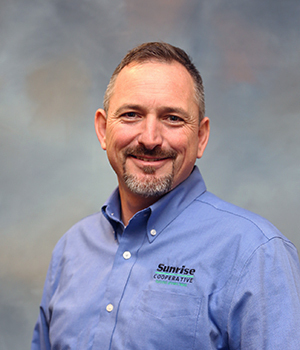 Joining Sunrise Cooperative as the Vice President of Strategic Initiatives is Andy Crump. Andy previously held this role at the predecessor Trupointe Cooperative. Along with is time at Trupointe, Andy also has experience serving as the Business Operations Planning Manager, a Strategic Pricing Manager, Senior Financial Analyst and a Financial Analyst at LexisNexis. Andy also served as Finance Manager at Contech Construction Products and began his career as an accountant, auditor and analyst on a contractual basis. He earned his MBA from Xavier University and a B.S in Finance from Wright State University. Andy resides in Beavercreek, Ohio with his wife, Angie, and their children, Allie (6) and Brody (4). He enjoys spending time with his family, attending his children’s sporting activities and outdoor activities. “Focusing on our customers and delivering the value and service they deserve,” is what a cooperative system strives for from Andy’s viewpoint. 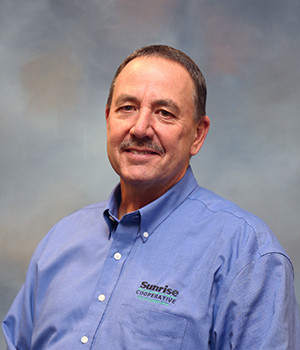 Gary Snell serves as the Vice President of Operations of Sunrise Cooperative, a position he held at the predecessor Trupointe Cooperative. Gary gained experience in operations through his time as a Crop Protection and Crop Nutrient Manger at Southwest Landmark, along with time spent at Terra Inc. as a Custom Applicator and Location Manager. He began his career as a District Seed Manager for Super Cross Seeds. Gary was involved in production agriculture until 2002 which touched corn, soybeans, cattle, hogs and sheep. A native of Jamestown, Ohio, Gary has two sons, Adam (30) and Andrew (25). In his spare time, Gary enjoys spending time with family, golfing, sports in general and fishing. Overseeing marketing and event planning at Sunrise Cooperative is Vice President of Marketing Morgan Niedermier. Morgan previously directed agronomy marketing and administration efforts at the predecessor Sunrise Cooperative. Morgan earned a M.S. degree in communications and information systems in 2006 from Robert Morris University, along with a B.S. in sport studies, minor in marketing, in 2004 from St. John Fisher College. Her background consists of marketing, media relations, website oversight and event planning. She began her professional career as Sports Information Director (2006-2011) at Heidelberg University before joining the Sunrise team as an Agronomy Administrative Assistant in 2011. A resident of Attica, Ohio, Morgan and her husband, Derek, have two daughters, Adalyn (6) and Kailyn (4). In her free time, she enjoys spending time with her family and friends, watching OSU, Cleveland CAVS and Indians games, while staying active herself. Vice President of Agronomy is Jerry Miller. Jerry began in the cooperative system at the age of 18 and has never left. 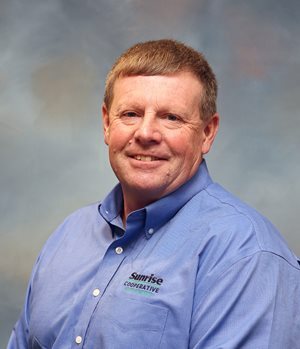 He joins the senior management team from the predecessor Sunrise Cooperative, where he has served as the VP of Agronomy for the last nine years. 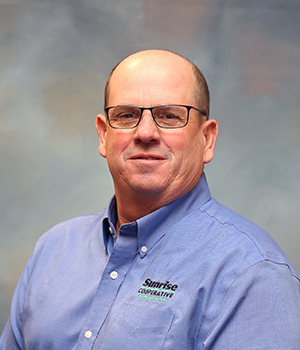 During his tenure in the cooperative system, Jerry has served in numerous capacities including: Custom Applicator, Branch Bookkeeper, Agronomy Sales, Branch Manager, Hub Manager, Sales Manager, Agronomy Manager and VP of Agronomy. Jerry and his wife, Debbie, reside in Willard, Ohio. When not at Sunrise he enjoys spending time with his wife Debbie. He also finds time to travel, as well as takes time to take his boat out on the lake. Jerry is an avid Ohio sports fan. He is no stranger to Cavs, Indians, Browns and Buckeye football and basketball games. Serving as the Vice President of Member and Corporate Relations of Sunrise Cooperative is Tammy Myers. Tammy previously held this position at the predecessor Sunrise Cooperative. A graduate of Bellevue High School, Tammy began her career in the cooperative realm 23 years ago at River Springs Cooperative. Following a three-way merger in 1996 she moved into the position of Corporate Office Manager for Country Springs Farmers Cooperative. 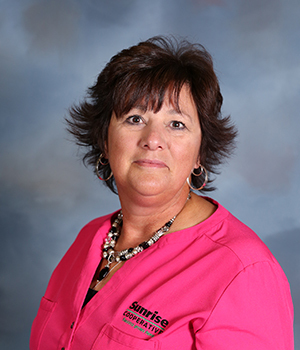 In 2007, Tammy continued as office manager for Sunrise Cooperative prior to moving into her current role in 2012. Tammy, and her husband, Michael, have three children, Jason (38), Joshua (32) and Jordie (29). Rounding out the Myers family is Joshua’s children, Addyson and Carl, along with Jordie’s husband, Jeff, and their two children, Blake and Madison. In her free time Tammy enjoys camping, riding bikes, cheering on the Ohio State Buckeyes and spending time with her family. Providing Administrative Assistant duties in Fremont for Sunrise Cooperative is Laura Nold. Laura continues in her role as administrative assistant from the predecessor Sunrise Cooperative, a position she has held since 2009. Laura’s professional background is multi-faceted, including experience in grain accounting at Country Star Cooperative (2008), and knowledge of data entry and experience as a Customer Service Manager at Carlisle Engineered Products. Her professional career began at MTD in the order entry department and as an Assistant to Department Manager. She resides in Shelby, Ohio with her husband, Jeff, and they have a son, Curtis. Laura earned an Associate’s Degree in Business Management from North Central State College. In her spare time, Laura enjoys reading, crafts, home remodeling and spending time with her family and friends. The Sunrise Cooperative Board of Directors is composed of 12 members. Serving our member-owners are nine district representatives and three at-large representatives. All directors are voted on by the member-owners to serve a term which consists of four years. Representing the Sunrise Cooperative member-owners as an at-large representative on the board is Dean Sweeting. Dean operates Sweeting Family Farms LLC in North Fairfield, Ohio, located in Huron County. He joins the board from the predecessor Sunrise Cooperative. Sweeting Family Farms LLC consists of a corn and soybean farming operation, alongside 15 different fresh market vegetables, peaches and blackberries. Dean and his wife, Jane, have two sons, John (34) and Jeff (32). Outside of his cooperative board experience, Dean has also served on the school, FSA and township zoning boards, along with serving as a Norwalk United Methodist Church trustee. He is also active with the Ohio Corn Growers Association, Ohio Soybean Association, Huron County Farm Bureau, Fruit Growers Association and the Vegetable Growers Association. Dean spends his free time with his grandchildren, riding ATV’s and UTV’s, swimming and family vacations. A cooperative covers multiple basis for Dean’s farming operation. “Having a business that is working for me and having a company that I can trust to give me accurate information on hybrid selection, new biologicals, new chemistry, timing and placement of inputs and advancements in technology, as well as contracting grain two or three years into the future” is how Dean views a cooperative. And a cooperative shares its success with its member-owners is an added benefit. 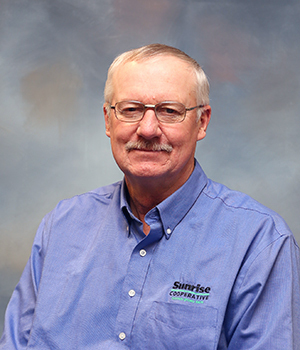 Serving as chairman of the Sunrise Cooperative Board of Directors is John Lowry. John represents District One from his Wapakoneta, Ohio farm located in Auglaize County. Dedicating over 30 years of service to the cooperative board, John also held the role of chairman at the predecessor Trupointe Cooperative, as well as serving on the Auglaize Farmers and Advanced AgriSolutions boards. A graduate of Wapakoneta High School, John and his wife, Lana, farm corn, soybeans and wheat. John and Lana are the proud parents of six children. Chantee (39) and her husband, Matt, have three children, Baily, Colton and Miah, along with Kyle (36) and his wife, Megan, and children Kaleb and Austin. Brad (35) is married to Ashley and together they have three children, Elijah, Isabella and Emily, while Paul (32) and his wife, Amanda, are the parents of Elijah and Arya. Rounding out the Lowry family is Ryan (29) and his wife, Gayle, and Anna (26) and her spouse, Dustin. John is an active member of the Rousculp Church of Christ and the Auglaize County Farm Bureau. He is a member of the Uniopolis Fire Department for 39 years, where he served as fire chief and you can still find John assisting with the EMS. In his spare time John enjoys cooking, traveling and doing volunteer work. Gene Cook of Seneca County is a District One representative on the Sunrise Cooperative Board of Directors. He serves as the board secretary, an office he held at the predecessor Sunrise Cooperative. Gene also served on the River Springs and Country Spring Farmers Cooperative boards. Through Moon Light Farms, LLC, Gene farms corn and soybeans, along with his wife, Becky. Gene and Becky have three sons, Jason (37), Kevin (36) and Adam (33), all of which can be found assisting on the farm. Included in the immediate Cook family is Jason’s wife, Shonna, and Adam’s wife, Melissa. And rounding out the family are seven grandchildren, Kaitlyn (16), Levi (14), Krista (12), Lauren (9), Caroline (4), Keaton (3) and Owen (1). In his spare time, Gene enjoys spending time with his grandchildren and attending church activities. A Fremont St. Joseph High School graduate, Gene went on to earn an associate’s degree in engineering. He is active with the Seneca County Farm Bureau, Knights of Columbus. 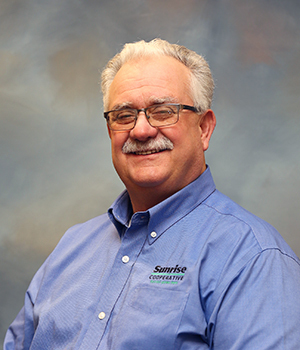 Serving as an at-large representative on the Sunrise Cooperative board is Steve Snider. Steve resides in Shelby County and is in his fifth year serving on the cooperative board, which includes experience on the predecessor Trupointe Cooperative. A native of Piqua, Ohio, Steve is a 1975 graduate of Piqua Central High School. Together with his son, Steve farms corn soybeans and wheat. He is active with St. Paul’s Church and the Lake Loramie Watershed Board. Steve and his wife, Kay, have two children, Luke (37) and Sara (35). Luke and his wife, Jen, have four daughters, Makenna (12), Madison (10), Marissa (8) and Mallory (5). Sara is married to John and together they have two children, Grant (5) and Evan (4). Steve enjoys spending time with his family during his down time. Serving as the Sunrise Cooperative vice-chairman is Rick Brill. Rick represents District Three from Lorain County and is the owner of Brill-View Farms Inc. and J. Brill Land Co. LLC. He has nearly 30 years of experience on the board and previously held the role of vice-chairman in 2014 for the predecessor Sunrise Cooperative. Brill-View Farms Inc. is a farming and dairy operation situated in Wellington, Ohio. The farming operation is centered around corn, soybeans, wheat and hay, with a dairy operation consisting of 120 dairy cows and 250 replacement heifers. Aside from his service on the Sunrise board, Rick also served on the Kipton Elevator and NOBA Board of Directors. Rick is an active member with the Lorain County Farm Bureau, Ohio Holstein Association and the Ohio Dairy Producers. Rick and his wife, Janice, have a one daughter, Jessica (35). From his seat on the board, Rick is honored and privileged to serve and is excited to see the advances the cooperative makes. Kirk Walker of Clinton County represents District Two on the Sunrise Cooperative Board of Directors. He brings over 27 years of board experience from time served on three predecessor cooperative boards: Clinton Landmark, Southwest Landmark and Trupointe Cooperative. A native of New Vienna, Ohio, Kirk farms in partnership with his brother, Kent Walker, and son, Brice Walker. Together they grow corn and soybeans in Clinton and Fayette counties. Kirk is also an active member of the Ohio Corn & Wheat Growers Association, Ohio Soybean Association, Clinton County Farm Bureau and the East Clinton FFA Advisory Board. Kirk is a 1989 graduate of The Ohio State University College of Agriculture with a degree in agriculture economics. In 1991 he married his wife, Tammy, and together they have two children, Rebecca (25) and Brice (21). Hobbies that Kirk enjoys are summer boating at local state parks with family, water sports, short Ohio trips and motorcycle riding. Mike Kocher is representing District 3 on the Sunrise Cooperative Board of Directors. He resides in Marion County. Mike also served on the predecessor Sunrise Cooperative and Country Star boards. MKB Farms Ltd. and Kocher Livestock LLC is based in Galion, Ohio. The farming operation raises corn, soybeans, wheat and hay, while feeding 800 head of fat cattle. Mike earned an associate’s degree in livestock production from The Ohio State University-ATI. He is active with the Ohio Corn Grower’s Association, Ohio Soybean Association, Ohio Cattleman’s Association and the Marion County Farm Bureau. The Kocher family is comprised of Mike and his wife, Brenda, along with children, Heather (29) and Nick (27). Joining the immediate family is Heather’s husband, Sam, and their daughter Ellie (4) and son, Emmet (1.5), along with Nick’s wife, Becca, and their daughter, Lucy (2). In his free time, Mike enjoys spending time with family and friends, camping, travelling and playing cards. Representing District 2 from Greene County on the Sunrise Cooperative Board of Directors is Doug Swaim. Doug serves as the Vice Chairman and also brings experience as the Vice Chairman of the predecessor Trupointe Cooperative. Aside from his time on the Trupointe board, Doug also represented member-owners on the Southwest Landmark board. Based out of Cedarville, Ohio, Doug farms corn and soybeans through S Corp LLC that includes Hickory Dell Farms, Inc. and Swaim Farms LLC. Alongside the farming setup, Doug oversees a gilt multiplier operation. Doug and his wife, Teresa, have two children, Luke and Lilly. The Swaim family attends Grace Baptist Church and Doug is an active member of the Ohio Corn Growers Association, Ohio Soybean Association and the Greene County Farm Bureau. In his free time, Doug enjoys spending time with family and friends, golfing and weekend trips. Serving as an at-large representative and Assistant Secretary on the Sunrise Cooperative Board of Directors from Auglaize County is James Metzger. James previously served on the board for the predecessor Trupointe Cooperative. Based out of Wapakoneta, Ohio, James farms corn, soybeans and wheat. James and his wife, Corinne, have four children, Noah (17), Natalie (9), Samantha (8) and Trevor (4). James earned a bachelor of science degree in ag business. Aside from his time on the farm, and representing member-owners on the Sunrise board, James serves as the Clay Township Fiscal Officer. He is an active member of St. Marks Lutheran Church and the Ohio Farm Bureau. In his spare time, James enjoys spending time with his family and friends. 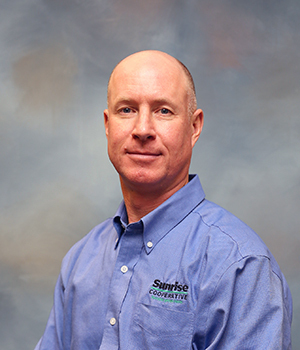 Representing District 1 on the Sunrise Cooperative board is Brian Snavely. Brian resides in Republic, Ohio, located in Seneca County. He has previous experience serving on the Sunrise Cooperative board for three years prior to our merger with Trupointe Cooperative. 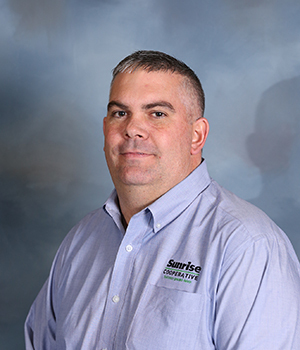 Brian earned his associate’s degree in farm management from The Ohio State University – ATI. He farms with his brothers, Rodney and Chris, as well as his father, Paul, as part of Snavely Farms, LLC. Together they farm corn, soybeans and wheat. Brian also contract feeds hogs from wean-to-finish, as well as participates in the operation of Snavely’s Sugar Shack. The Snavely family is built around Brian and his wife, Michele. Together they have three grown children, Jeremy (28), Renee (23) and stepson, Justin (24). Brian is a member of the Seneca County Farm Bureau and the Seneca Soil and Water Conservation District. He is also a member of the Grace Community Church. In his free-time, Brian enjoys spending time hiking, biking, camping and spending time with his granddaughters. Brian understands the importance of the cooperative. “The Sunrise tag line says, ‘Success Grows Here’. I would like to think that as a true cooperative, that means that when Sunrise is successful, that success is also experienced by its member-owners. Serving on the Sunrise Cooperative board from Crawford County is Bob Finney. Bob represents District 3 from his family farm in Crestline, Ohio. He has previous experience serving on the Sunrise Cooperative board in 2015. Bob owns and operates his family farm that was established in the late 1800’s. Currently, Bob farms corn, soybeans, what and hay with his sons, Alex and Chase. The family also has a small cow/calf herd while purchasing feeders throughout the year to finish. The Finney family is built around Bob and his wife, Monica. Together they have two sons, Alex (23) and Chase (22). Bob is a member of the Sacred Heart Catholic Church, is a past president of the Crawford County Farm Bureau and is a Vernon Township trustee. There are five types of memberships within Sunrise Cooperative, please click on the links below to access the membership packet you are interested in. Please download the Credit Application and print out. Once you have completely filled out the application, please return it to address below. If you have any questions please contact Tammy Myers, VP of Member and Corporate Relations at 419.332.6468 ext 207.